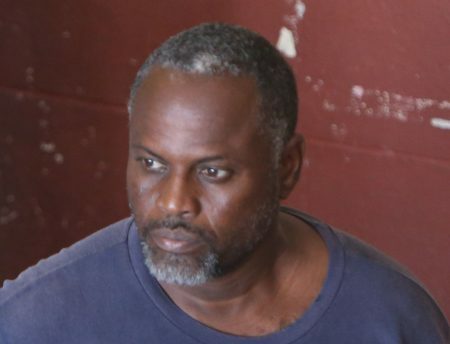 Garfield Parker, the Tabatinga, Lethem minibus driver who was held after nearly 55 pounds of ganja and a quantity of cocaine were found aboard his vehicle last Saturday, is now a remanded prisoner after being charged with possession of the drugs for trafficking. 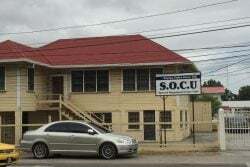 Parker, 55, was read the charges by Chief Magistrate Ann McLennan in Georgetown yesterday. It was alleged that on October 1, at Mabura, Upper Demerara, he had 24.9 kilogrammes (54.89 pounds) of cannabis for the purpose of trafficking in his possession. A second charge stated that on the said date he had 200 grammes of cocaine in his possession. Parker denied both charges and told the court that he had no knowledge that the drugs were on his bus. 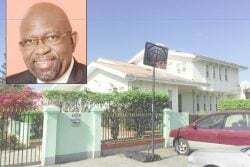 Chief Magistrate McLennan remanded him and adjourned the matter to October 11, when it will be heard at the Lethem Magistrate’s Court.